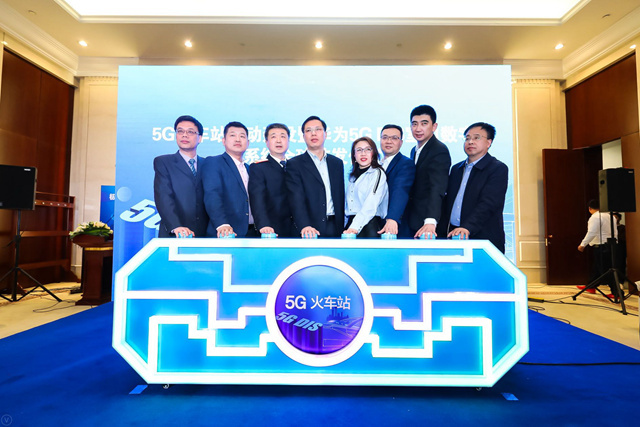 Along with Huawei and Shanghai Jiaotong University, China Mobile (Shanghai) formally announced to start 5G network construction at Hongqiao Railway Station, which will be the first railway station built with 5G indoor digital system and will be deeply deployed with 5G network within 2019. China Mobile (Shanghai) has presented the network peak rate of 1.2Gbps with 5G DIS technology to the public along with Huawei. It means that, after passengers log in the network supported by this system, it only takes less than 20s (the shortest time) to download a 2GB HD movie, to realize smooth connection of entertainment experience between waiting and riding.